A genuine immersive experience ventures beyond touch, into a multi-sensory world somewhere between fantasy and reality. You aren’t just told a story; you are the story. Lusens immersive user experiences use advanced computer vision technology to measure body position and track gestures for natural interaction with custom applications and games of all genres. Inspire And Create Lasting Memories. At Lusens we create dramatic sculptural and immersive experiences that proactively engage and embrace visitors. Our exhibits will intrigue, engage and captivate all! With our immersive interactive experiences you will WOW your audience while captivating their attention and keep them fully entertained for hours. We follow best practices to design effective interactive experiences. Take your message to a new level of performance and results with a Lusens immersive multimedia experience. Create and install an exhibit that resonates with your audience with more impact, producing greater results and achieving your communications objectives. Lusens immersive experiences integrate seamlessly with your environment, incorporating your architecture and branding with your organizational culture and community. 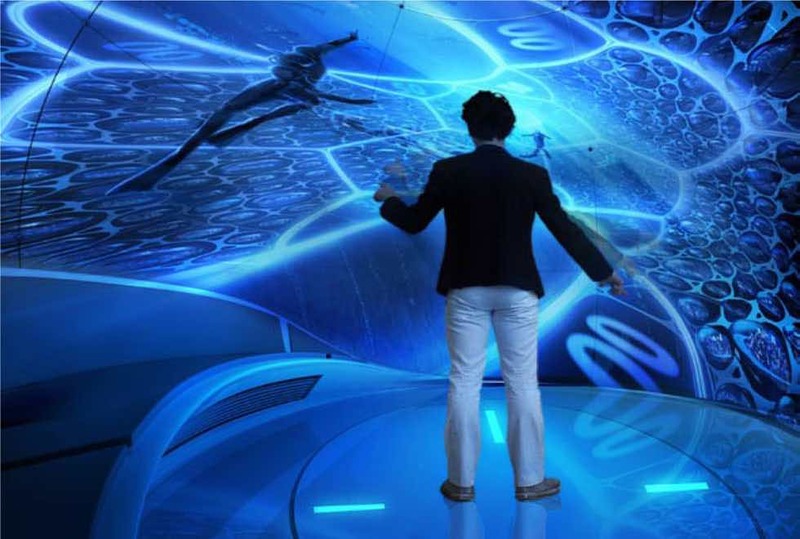 Among Lusens custom immersive experience are Multitouch Tables, Interactive Floors, Interactive Walls, Interactive Bar-Top Tables, Donor Recognition Displays, Way-Finder Kiosks, Interactive Experiences, Immersive Experiences and Custom Designed Exhibits Or Games.